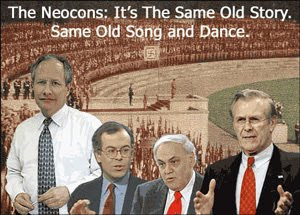 NeoCon Watch: Will Neoconservatives Convince Trump to Favor Regime Change in Iran? With the reimposition of economic sanctions Monday on Iran, it appears that the Trump administration is torn as to the purpose of the sanctions. On one hand, President Trump appears desirous of simply forcing the Iranians to terminate their nuclear program (and keep it shut down) and have them cease what the United States calls its “malign activities” in the Middle East. Trump insists that his sanctions are not motivated by an effort to achieve “regime change” in Iran.